It’s so easy to get busy and miss the powerful meaning that lies at the heart of Christmas, so Vortex Church wants to help you place Jesus at the center of your Christmas experience this year! Join us at Stony Mountain Vineyards for a special night of worship and communion. 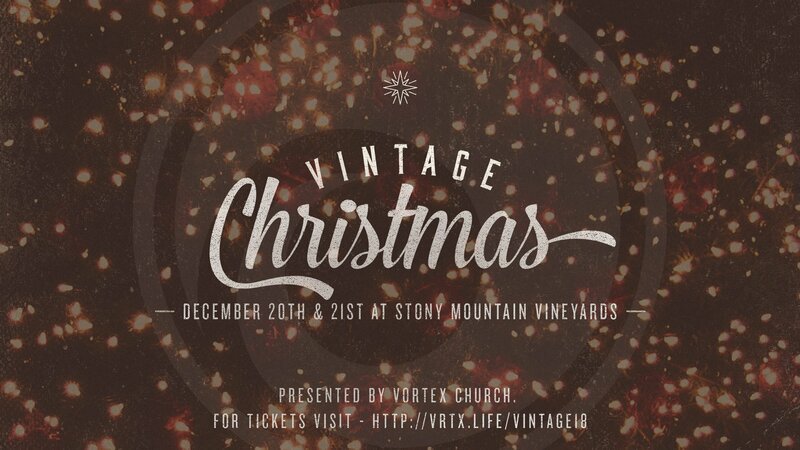 Vintage Christmas is an event that is uniquely designed to take us back to the original intention of the Christmas season and be reminded of the greatest gift we’ve ever received. Services will be on December 20th & 21st at 7 pm. Childcare will be offered for kids under 5 years old. Tickets will be available in November 2018!